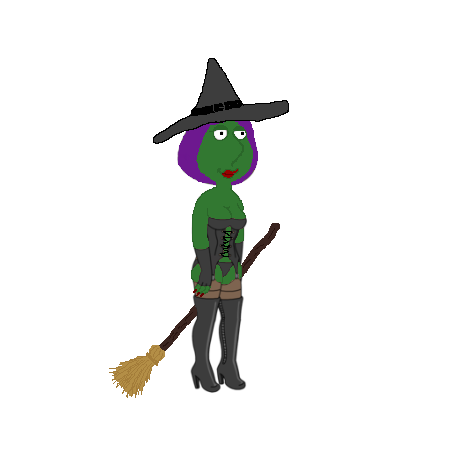 This entry was posted in Updates and tagged A Very Griffin Holo-ween Event 2017, Bunny, Family Guy Addicts The Quest For Stuff, Family Guy Tips and Tricks. Bookmark the permalink. Bunny, I’m so sorry to hear about what you’ve been going through. Know that you are not alone in feeling like there is too much pain and unfairness in this world, and I’m glad that you figured out a plan that will help you through this difficult time. I’m sorry that this means we will lose you, as I want to echo the others and thank you for the time and energy you have spent in making this game a better experience for the rest of us. 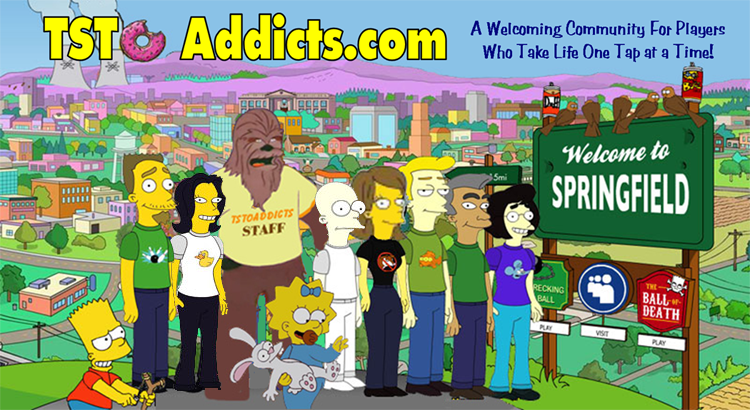 I have come to rely on the addicts site, and you will be greatly missed. I wish you and your family only the best. I haven’t visited this site as much recently so I hadn’t seen this post until now and only found it after searching to find out why the words “my heart goes out to bunny” were in another post. I’m sorry to hear what you are going through bunny! It won’t be the same without your posts and comments but your health, family, friends etc are more important. Thanks for the huge amount of time you have spent keeping us informed and amused. I wish you all the best for the future! We will certainly miss you but absolutely understand that your health and family time takes priority. I kind of understand what you are going through. This Summer, I found the bodies of my mother and brother. I can’t even imagine going through that if I was already dealing with health problems. I can tell from reading your posts that you are a tough woman and a very loving mother. I hope for nothing but the best for you and your family. Even though you are stepping down from the site, I hope you will pop in on the comments once in awhile and let us know how you are doing. Bunny, So sorry to hear of your troubles. Your positive attitude is inspiring and you have already shown that you are strong enough to beat whatever is going on. The body/mind reacts wonderfully to positivity. It is a sad reality of our times that suicide is very much on the rise (statistical fact) and due to how hard it is for the majority of Americans to cope with the state of our nation and population. I personally abandoned all social media after the election and have never looked back. The sheer volume of violence and hatred being perpetrated in the U.S. is mind numbing. I could go on and on but would rather wish you well and thank you for being such a huge help for my only addiction. FGQFS. I am sorry for your loss. In the past 3 years, My father died and three of our cats died. I am battling depression also. The holiday season is supposed to be a happy time. Not always. Long time reader and follower of this website, not much of a person for comments or posts, but reading this – I just had to say I am terribly sorry and saddened that you are facing so much grief in your personal life.It is truly heartbreaking. I hope you find support, strength and peace with everything that’s going on, it must be a lot to take on. I wish there was something I could do to help. Sending hugs and support! I’m glad you’re giving this up. I mean that in a sincere way as your health and family is way more important than giving a loads of nerds info about a mobile game. Without you giving too much away, it has been clear that something wasn’t right with you and we all appreciate you having the courage to make a difficult decision and you can see the whole Addicts community is behind you. I’m a parent too and if I’d have had a life changing illness I’d be spending as much time as I could with the people I love because even if you had all the time in world it’s still never enough. Thanks again for all the work you put in running this site and providing us with information. Wishing you a full recovery and all the best to you and your family. Bunny, this breaks my heart. It was clear you were dealing with some very difficult stuff. Some might think that this is all about a silly little game and doesn’t really mean much. Over the years, however, you (and Russian Tigger, et al) have become a presence in the lives of many. Your attention to detail and advocacy added light to the world. Your strength and steadfastness in the battles against those who would rather spread darkness makes you a hero. As I have faced my own struggles and losses, being able to turn to the game and the help you’ve provided have just made it all a little easier. I will always play with you in my heart and mind. If I could wave a magic wand and make things better, I wouldn’t hesitate a second to wave it for you. Thank you for light. I’m so sorry Bunny, I wish you all the best and will miss you. Much love and hugs. So sorry for your loss. I have mainly been a lurker here since the early days, dipping in and out of the game and site. Thank you so much for the time and effort you have put in. The best advice you’ve given me was back when you said to remove all my roads to help bomb those darn trick or treaters. To echo what others have said – your health, both physical and mental – and family should be your number one priority. Focus on them and enjoy your life together. My condolences to you and your family. Giving you lots of hugs and love through this difficult time. Thanks Bunny for all your hard work! Are you closing the site down or passing the torch onto someone else, like RussianTigger? Either way, you will be missed! Thank you for everything. I’m sure there are a lot of people like myself who’ve never commented here before but have benefited from your research and enjoyed the comments. On behalf of the lurkers, thank you for adding a little bit of joy to our day. I hope that you can get through these tough days ahead and hopefully come back and say hello when the time is right for you. Thank you for everything, and I wish you well. Dear, dear Bunny I know words can not heal you, but please know you are loved Around the world! I hope you have many many more wonderful times with your friends, family and children. I’m so sorry. I’m sure you’ve so many wonderful things during your lifetime, this counts. You’ve brought so many people together, ok it may be just a game, but we’ve developed some wonderful friendships along the way! You’ll not be forgotten. I’ll admit, I’ve long wondered what was going on. The fact that you never really said told me if you wanted us to know, we would. I really have worried at times. I had hoped all along it was not terminal. I’m sure a few of us would love updates on how things are, I’m not sure how we can tho. I can’t bear the thought that I’ll never know how you are after you leave this community. I feel like I’ll forever wonder how or when if you are. You are in my thoughts and prayers. I’m sorry and you will be missed tremendously. Thank you. I will try to update as I can on my personal page. You’re welcome to follow me there if you’d like. I’m so glad you’ve decided to do this. You should have realized too many people care about you, and would forever worry. Peace and love tomorrow. Gosh, I hate to keep bothering you! The link didn’t work. Tells me it’s and invalid post. Of course it’s probably my fault. I know I’ve seen your page before. I am new-ish to this game and community. I have greatly enjoyed how your hard work has helped to enhance the fun of this game, and look forward to checking into the blog often. I am so sorry for all of the difficult things you have been going through recently, I cannot even imagine what it must be like. It has been wonderful getting to know you here on the blog. Thank you again, and many hugs to you and your family. Family is everything – It has taken a while for me to realise it. Play with those kids – they grow up so fast it will be a blink and you will miss it moment. Take heart as I write this from Sunny Australia – you have helped so many people AROUND THE WORLD with this free website and your work is highly appreciated. You have a community here that you have created with many friends here eager to lend a helping hand – even if they are half a world away! Trolls smolls – one day they may get a life but I doubt it. Ignore them (although I understand how hard they can be) – no point in lashing out and filling there sick sense of accomplishment when you can simply ignore then and they will shrink away. Again, my heart goes out to you and your kids – Adam. My condolences and thank you for all you have done. Prayers for you and your family and I hope that everything works out. My condolences to you and yours. It’s always difficult to lose someone you care about, and circumstances such as this can make it even more difficult. Someone a couple steps removed from my left this world in a similar manner not long ago, and I’ve seen his sister dealing with it. I’m sorry to hear that this is something that has touched your life so much, especially several times close together. It sounds like you did what you could to try to make things better, but I understand there is only so much comfort you can take in that. I’m sorry as well to hear that you have gotten hate mail from people, as there’s really no reason whatsoever for that. I suppose it’s the G.I.F.T. at work as usual. Perhaps kids can be raised to treat other people online like, well, people. Whether this site continues with your departure, know that you were instrumental in making a difference in the lives of quite a few random strangers online who *aren’t* total bastards, and every little bit of light a person spreads, even on something as inane as this game, makes the world a little brighter. Bunny, My condolences on your losses. And I will miss your posts, but being a family is more important. You need to get back in touch with your foundation when the world seems to be crumbling around you. I wish you well in getting reconnected and hope that you may return someday. Have you read anything by Jenny ‘The Bloggess’ Lawson. She has helped me during some low times in my life. She is funny and very forward with many of the trials in her life (including her personal illnesses and friends that decided to give in to the lies that depression told them). Take care and much love for your future endeavors. I read your post at 4:00 am this morning, it made me think… it made me cry… it made me look at my own life. I wanted to send you a reply, I just really didn’t know what to say. I personally have never lost anybody close to me, friends or family. I have also never gone through any life threatening physical trauma or sickness. I realized there is not much I could say to relate to your experience. However, I really just wanted you know that I absolutely appreciate and respect the person that you are and that your message was so inspiring to me. Since I have not experienced loss of loved one’s, or my own health, I often feel that I don’t have as great of an appreciation for these things as I should; I fell that I have taken health and love for granted at times. Your words make me want to become a better husband to my wife, a better son to my parents and a better friend to everybody I love. I am reminded to cherish all that I have RIGHT NOW… not tomorrow, not eventually, right now. I know I have been fortunate, but I also know that one day that could easily change for me, or anybody that I care for. I admire your dedication to your family and friends and I want to be there for my loved ones whenever they need me. I found familyguyaddicts very early on when FGTQFS was brand new and have seen it grow. I definitely wouldn’t be to where i am at in the game had it not been for your contribution and dedication. I have returned to the site almost every day for great info and interactions and I have even posted a number of game related messages. This is the most I have written on any blog post ever, and rightfully so, because remember that it is all about PEOPLE, it always has been… this game is just something we share and bond over. We all exist outside of this game and outside of this website, but it is easy to forget that there are REAL people, real AMAZING people on this site with so much to offer… not just to this game, but to the world. Thank you Bunny… we know you will be strong, we pray you will be healthy and of course you will continue to be loved. As words are wholly insufficient, I will simply thank you for everything you’ve done, say I’m very sorry for your loss and the hard times you’ve been experiencing, and wish you the very best for your future. My words are inadequate, but please know you are beloved by our Addicts community. We wish for you love, light and happiness, and will be ever grateful for your helpful and constant guidance on this site. First and foremost I want to send my condolences to you and your family for the tragedy you are dealing with. Coming to terms with a loved one’s suicide is an incredible challenge, my thoughts and prayers will be with you and your family. I don’t post often on this site but I read daily and I’m sure I can speak for all of us that you will be greatly missed for all the knowledge and input you provide through your hard work and dedication. You have given me many tips and have greatly helped my game play over the last few years since I started playing FGTQFS back in 2014. Your methods have taught me how to play the game more effectively and efficiently and have helped me enjoy playing the game in general. One thing I’ll never forget was you writing to another player to be patient and let the drops come as intended rather than stress trying to do the math on if you get all the drops in time. I know you have probably wrote that thousands of times but the one I read resonated with me and has made my game play so much more enjoyable and less stressful, we all know this game can get frustrating at times Lol 😂. But, family IS first, hand-in-hand with health and well-being…just know, through this site, you’ve truly touched people for the better…our thoughts and prayers are with you, your family and your friends as you move forward in life and certainly through this very difficult time…God bless you, Bunny, and THANK YOU!!! And a BIG thank you to RT and Lotty for all their help! I am your fan in Taiwan. I followed this website from 2014. Your tip help me so much. Thank you for all you have done. Hope you get well. Bunny, thanks so much for baring your heart in this post. I greatly appreciate your sharing of what you’ve been through. You could have just stopped posting and gone away, but you cared for all of us enough to give some form of closure. So, thank you. I can’t imagine what you go through, but I personally have my health issues for several years, and condition has been gradually worsening. It is incurable. I won’t die from it, but struggle with life’s most basic tasks. At the same time, I also have family issues no one would possibly have experienced before. These combined have given me suicidal thoughts too, few years ago in 2015. It was a friend of mine, who talked me out of it, gave me hope and I struggled even up to today, able to live on only with the support of that friend and my parents. From this, I realized importance of family and (close) friend support to get you through the darkest days. And then I started to play this game and read this blog. This has been my constant companion aside from life’s struggles. So, thank you for starting this blog, and the other regular posters too. No matter what anyone says, or does to you, stay strong and find a reason to live on, be it your kids or your parents. I think I will be very contented if you can make an occasional post here to let us know how you are doing. Wishing you best of health and happiness! Take care, always. I second Phil’s request – if this site can continue, we’d love to get a wave and an update every now and then from our favorite Bunny! Thanks! I’m so sorry for all you’re going through. Your posts have brightened many a day for me, thank you. Thank you for all of your efforts on here. I hate that you have been through so much, it takes a strong person to stand tall through all of that. I wish you the best going forward and hope everything works out for you and your family. While you will be missed, I can understand and respect taking family first. I would do the same thing. Good journey! tears are running down my face .. as a person who has dealt with suicide before i feel your pain .. i can’t even describe how heartbroken iam to see u leave .. Even when we’ve had our differences, I’ve always maintained the utmost respect for you and what you’ve done here. I’ve always said that real life always comes before game and can completely empathize with you on this. I am truly sorry for your loss and wish you and yours the best in life. I know we’re all sad to see you go but it has been a great run. Like all great things, they must come to an end. Thank you so much for the time and effort you put into this site. You’ve help so many people through the years and it’s an accomplishment to be proud of. We will all miss you! Thanks again! I’ve enjoyed our bickering and discussions. I really appreciated always your in depth insight on everything. I came to anticipate what you’d comment. I will miss you for sure. I won’t forget my “family” here. Life and living is so much more important and valuable than this game. Go enjoy every minute with your family. Thoughts with all of you at this sad time. So very true. I love my “family” here and will miss them, but have a new direction now in life. I hope you get well and everything will get well for your family. You made my life better, Bunny. Hugs, love, and healing thoughts. Awwww thanks Daniel. This is hard. I am going to miss this so very much. Oh my goodness Bunny, that is the most heartbreaking post I have ever read! Of course your family and health come first before anything else. We appreciate all the sacrifice you’ve given us these many years and applaud the kindness you have shared with us! You mentioned you were ill years ago, and since you hadn’t posted much more about it, I assumed your illness had passed. I had no idea you were in constant pain as you continued to post as the game events progressed. Thank you Jayne. I tried to be silent about it due to I felt it would take away from the blogs, not to mention all the Trolls that were already sending me death threats and wishing I death on me constantly. I didn’t need to give them more to feed off of. I didn’t want people to focus on what I was going through, I just wanted people to have fun. I appreciate all your comments throughout the time you have followed along with me. This was indeed a passion of mine that my heart and soul was in. I was in tears writing the post and am still in tears now. But… it seems best for everyone if I just disappear now.